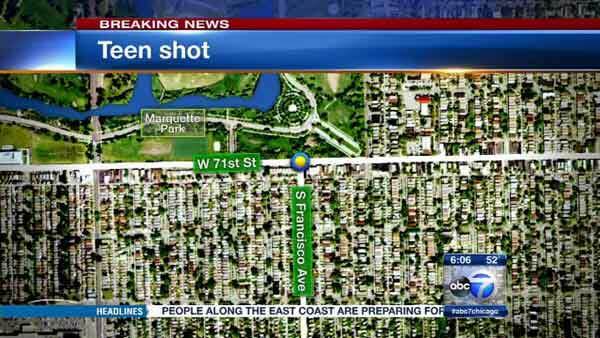 A 15-year-old boy was shot several times in Chicago's Marquette Park neighborhood. CHICAGO (WLS) -- A 15-year-old boy was shot several times in Chicago's Marquette Park neighborhood. Police said he was sitting on a front porch in the 7100-block of South Francisco around 9:50 p.m. Thursday when someone walked up and shot him in the side and leg. The teen was taken to Advocate Christ Medical Center, where he is listed in critical condition.